AMM Surveying Services are a RICS regulated chartered surveyors located in North Leicestershire. We are based near the M1 and cover the whole of the East Midlands area. We have over 25 years’ experience as chartered surveyors, providing our professional services to many returning customers. Along with our in-depth knowledge, we use modern technology to produce accurate reports that offer our expert and reliable opinion on the condition and structure of your property. We offer a RICS HomeBuyer Report and a RICS Building Survey. We can reassure any worries you may have as we have Professional Indemnity Insurance and Public Liability Insurance, which means you’re fully protected if anything was to go wrong. Adrian was really helpful in arranging the survey quickly after instruction. He rang to speak to us on the same day that he visited the property and talked through any issues that he had found. We wouldnt hesitate to recommend his services, thank you very much! AMM Surveying Services’ Homebuyers survey is designed to asses the condition of modern homes made of common materials that are still in a good condition and without having major reconstruction work done. 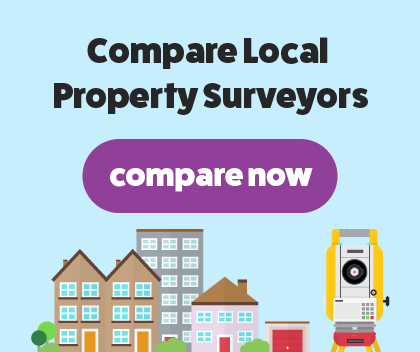 One of our RICS verified chartered surveyors will carry out the survey on your property or on a house you want to buy to make sure it’s right for you. We’ll look for any structural problems such as damp or rot and highlight any necessary repairs using our extensive knowledge. We’ll record our findings in an easy to read report, offering our expert advice on the best way to tackle the hidden damage. We will point out the main areas of concern, focusing on areas that need urgent repairs. One of our highly trained and experienced chartered surveyors will provide their opinion on the property's condition, which will help you decide if you want to commit to buying the house. Our structural survey is the most in-depth property survey you can have. It’s designed for old, unique houses that have had major reconstruction work done. Properties that were constructed with uncommon building materials that are no longer made require a building survey. A building survey will thoroughly examine the structure and condition of your property, digging deep to find structural hidden damage that you won’t be able to notice yourself. We’ll put our findings into an in-depth but clear report, highlighting structural damage and our advice on how to best carry out repairs.